Bayern Munich have emerged as the latest side to take an interest in Red Bull Salzburg's ​Dominik Szoboszlai, amid rumours linking Arsenal and Juventus with the teenage star. 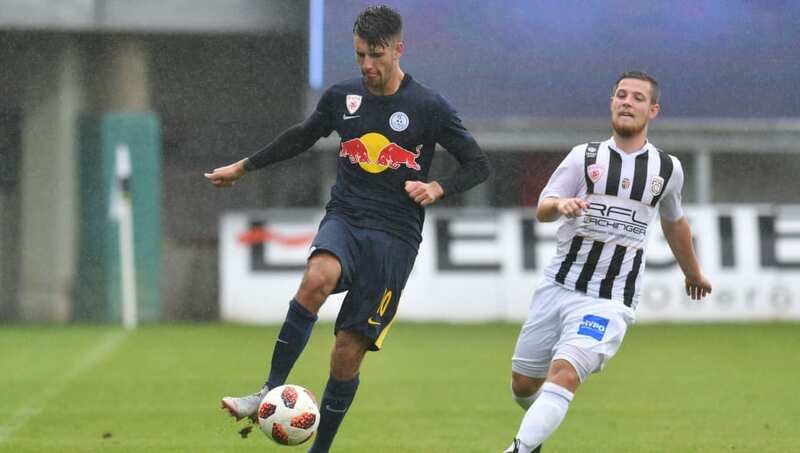 While the 18-year-old has been restricted to a handful of games for his parent club, he's been in excellent form for feeder side Liefering, where he's scored six goals in nine league starts this season. The youngster is renowned as a set-piece taking expert, and appears to have caught the eye of a number of elite sides looking for a wonderkid signing. ​Juventus are also thought to be interested, after the player's name was included on the club's supposed transfer target list was ​leaked last month. The report also claims that ​Serie A surprise package Atalanta tried to sign the player in the January transfer window, but were unable to agree a deal before the deadline. Meanwhile, ​both Juventus and Inter are rumoured to have turned down the chance to sign Arsenal playmaker Mesut Özil on a cut-price deal. The player has feared sparingly under Emery this season, and the club are believed to becoming increasingly frustrated with the minimal return given in exchange for the player's handsome £300k-per-week salary.